Is there, actually, a French philosophy of technology? If the answer may be “yes”, we can point out that such a philosophy does not have a clear beginning. Of course we must go back to René Descartes (1596–1650) to find the first formulation of such a thought and the earliest idea that technology and applied sciences are essentially tools to understand and master the world. This matrix of all the later optimistic visions of science appears in the most famous work of the father of rationalism, Le discours de la méthode (part VI), when Descartes explains that, thanks to technology, man may become like master and owner of all of nature. 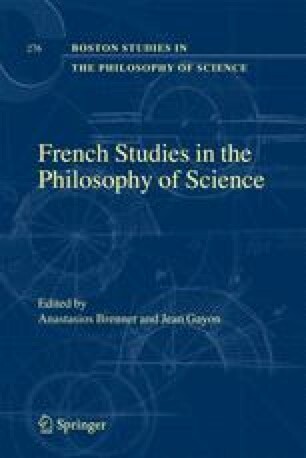 1 In the same way, we read in Les principes de la philosophie, another anthology piece saying that science is a tree, the roots of which are metaphysics, the trunk is physics, and the different branches are the three applied sciences known at the time (mechanics, medicine and morals).2 These ideas are very significant in the context of the period, when the increase of population, the expansion of cities and towns, and a confident faith in the new Galilean physics made things looked rather hopeful. Friend of Villebressieu, 3 a prolific engineer who made numerous inventions, spent his fortune building them and finally ruined himself, Descartes was an expert in technology, especially lifting devices, about which he wrote a notice enclosed with a letter to Huyghens:4 “The explanation of machines with the help of which a small force can move heavy weights”. 5 But his knowledge of basic machines (pulley, screw, whee or wheel, lever, inclined plane) does not make of Descartes a real philosopher of technology. As Blaise Pascal (1623–1662), who had one of the first calculators made by some craftsman and wrote a few things about it,6 Descartes was, above all, an actor of the technical revolution. But probably too close to it, he could not think a lot about the break it caused in culture. As a matter of fact, we only find, in Les principes de la philosophie (IV, 204), the famous metaphors comparing nature with an immense engine, which produces trees and fruits as a clock gives the time. Which does not mean that the “factory of earth and sky” may be reduced to a human trick. As Descartes wrote in the same passage “all rules of mechanics belong to physics, so everything which is artificial is also natural”. Here we must be careful and not misinterpret these words. In spite of the well-known Animal-machine thesis, we cannot read this sentence in the reverse order. The philosopher never said that nature is entirely mechanical, because the natural factory is not a human fact. The boss is God. His technology is subtler than ours, His intentions and goals are beyond our belief. So, some kind of deep-rooted finality remains a vivid ground of cartesianism, which prevents it turning into a flat materialism.